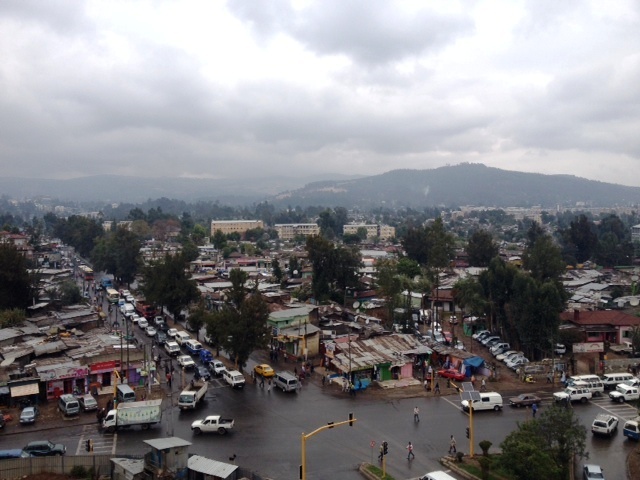 My first impressions of Ethiopia were garnered through somewhat bleary eyes. 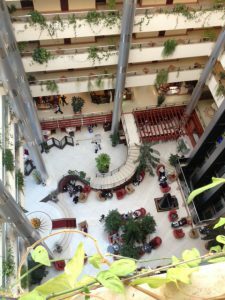 After a day’s travelling, we arrived in Addis, the capital city, at about 1am and – due to lost luggage – didn’t leave the airport until close to 3am. Addis is the Brussels of Africa. It serves as the main administrative capital of the African Union (AU), housing the AU’s secretariat, the African Union Commission, as well as the headquarters of the United Nations Economic Commission for Africa and countless international NGOs. Its status as Africa’s ‘political capital’ has impacted hugely on its infrastructure. It has led to the incongruous juxtaposition of towering, glass-fronted, internationally-branded hotels and ramshackle, open-fronted, roadside huts, selling fruit, vegetables, meat and whatever else you’re after. In the more traditional bars, locals happily crowd around shared tables, sipping St. George’s beer and snacking on small cubes of raw meat (tibs), often served fresh from a butcher’s shop located within the bar. Nearby, neon-fronted bars in four and five-star hotels offer a more ‘Western’ experience. 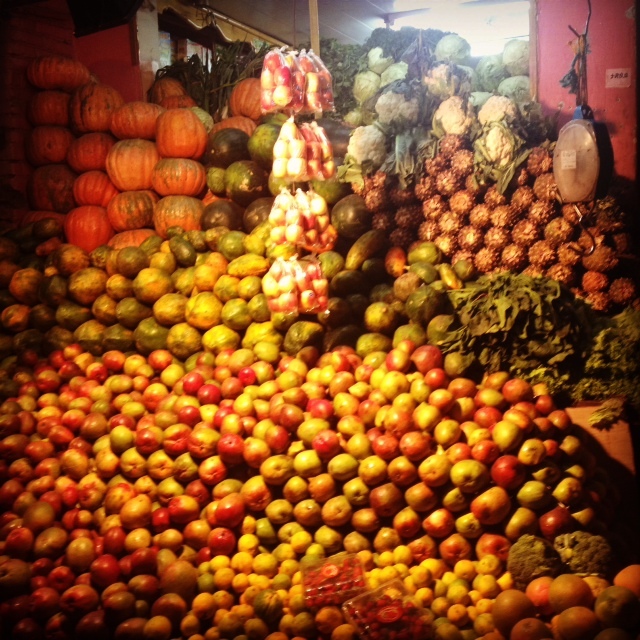 Everywhere, there are signs of how the Ethiopian economy is booming. Not since the heyday of the Celtic Tiger have I seen so many cranes dotted across a skyline. Indeed, Ethiopia in recent years has been dubbed the ‘African Lion’ due to its stellar economic growth (93 per cent increase in GDP in the past six years). Whole swathes of Addis have been dug up for ambitious construction projects, including a new light rail system and scores of schools, hospitals, housing blocks and other amenities. Catherine Heaney and I were in Addis to deliver communications training to officials from Ethiopia’s Ministry of Foreign Affairs. Organised in partnership with the Ethiopian Embassy in Dublin, our training programme aimed to enhance the skills of 30 senior government officials in areas such as international media relations, crisis management and online communications. 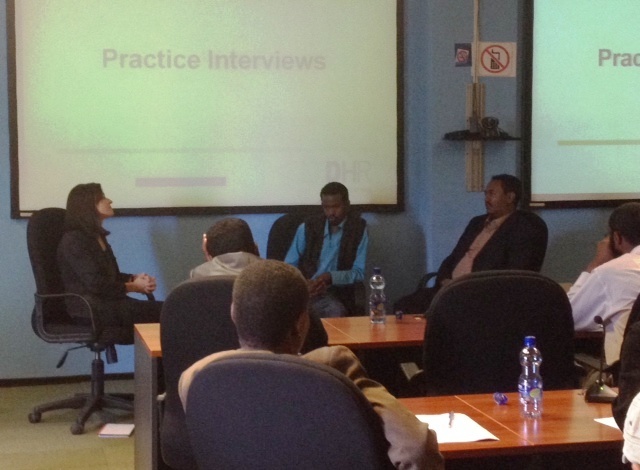 Many of our trainees were preparing for a posting in one of Ethiopia’s 40-plus embassies and consulates worldwide. In developing and delivering this training, we faced a number of challenges. Firstly, English is a learned language for most Ethiopians, and – although it is widely used by those involved in politics and diplomacy, and strongly promoted in schools – it was difficult for us to gauge in advance just how fluent our trainees would be (in the event, all trainees had excellent English, so this presented no problems). Secondly, Ethiopia isn’t exactly renowned for press freedom or openness to media scrutiny: the 2014 World Press Freedom Index categorised the country as presenting a ‘difficult situation’ in terms of freedom of information, the second-worst categorisation in the Index. Overall, Ethiopia was ranked 143 out of 180 countries on the Index (for the record, Finland takes the no. 1 spot, with the ignominious no. 180 ranking going to Eritrea, Ethiopia’s northern neighbour). Finally, Ethiopia’s political situation is ‘unusual’ by European standards: the ruling party has been in power since 1991, and the opposition is not strong. And although any comparisons with socialism tend to be dismissed, government policies have a strong focus on promoting collectivism and investing in public services, with little priority placed on fostering enterprise or attracting inward investment. These factors made our training very different to what we experience when delivering training in Ireland or other EU member states. Our trainees were quick to challenge the norms of ‘Western’ media relations and were inclined to be highly suspect of the motives of international media outlets. At the same time, they were bursting with pride in their native country and keenly aware of the need to let the world know that Ethiopia is no longer the famine-stricken, war-riven country that made international headlines 30 years ago; now, it has a booming economy, is predominantly peaceful, and is wholeheartedly embracing modernity. 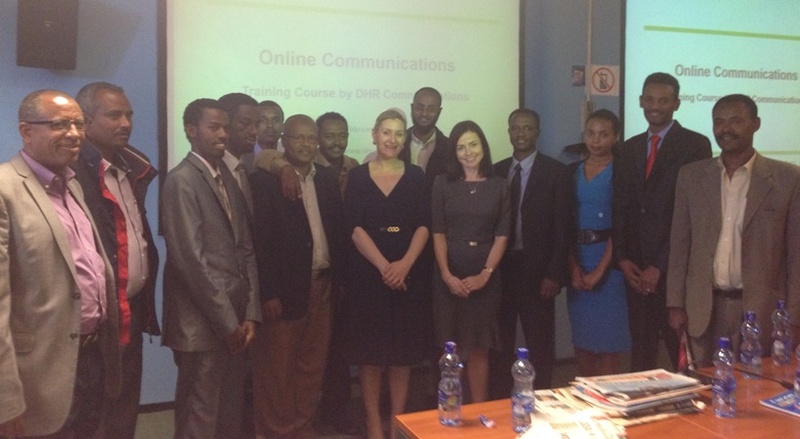 We spent three jam-packed days delivering training in Addis. While we may not have completely dispelled our trainees’ suspicions about international media, we did convince them of the importance of proactively engaging with the media and of providing journalists with useful information in user-friendly ways. We left them with practical ideas on how they can promote a more positive and up-to-date image of Ethiopia, and tailored tips for dealing with journalists who may know little about their country’s present situation or complex past. My colleague, Catherine, is a repeat visitor to Ethiopia, having first stayed in Addis in 2002, when she led a study tour of European politicians and journalists visiting UN-funded health projects. Since then, she has returned on a number of occasions, most recently due to her involvement in Connect Ethiopia, an Irish business-to-business charity, which she chairs. For me, this was my first time in the country. It was a fascinating – if whirlwind – trip, and it left me wanting to return soon. 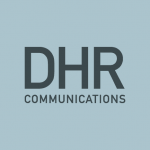 Further information on DHR’s training programmes is available here.